I've been posting photos of pleasant/attractive things, but today I'm posting shots of the wealth divide. Poverty in the midst of high fashion shopping outlets. This is heartbreaking... He's so unseen! Yes, particularly on such an up-market shopping strip. Sounds like you had a great weekend, better you than me with lots of people, I don't cope well. These are really poignant shots and important to be seen. 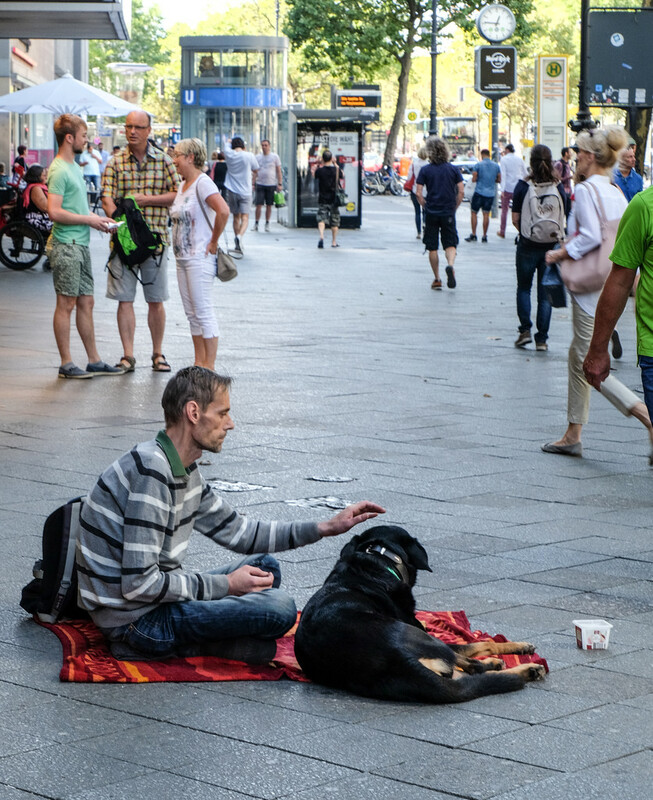 A very thin looking fellow with his dog and unfortunately the wealth divide seems a reality across the world. Sadly an only to common sight in cities all around the world. neat capture Marnie, great that you captured him in a tender moment, looks like he is about to pat his dog. He is extremely thin.